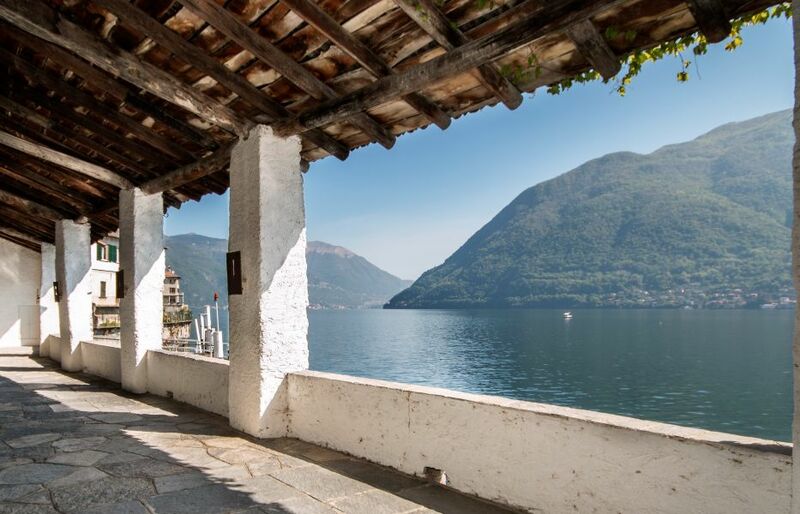 Set on the fabled shores of Lake Como, La Filanda was a 19th century silk factory that has recently been renovated and transformed into an incredible design villa. 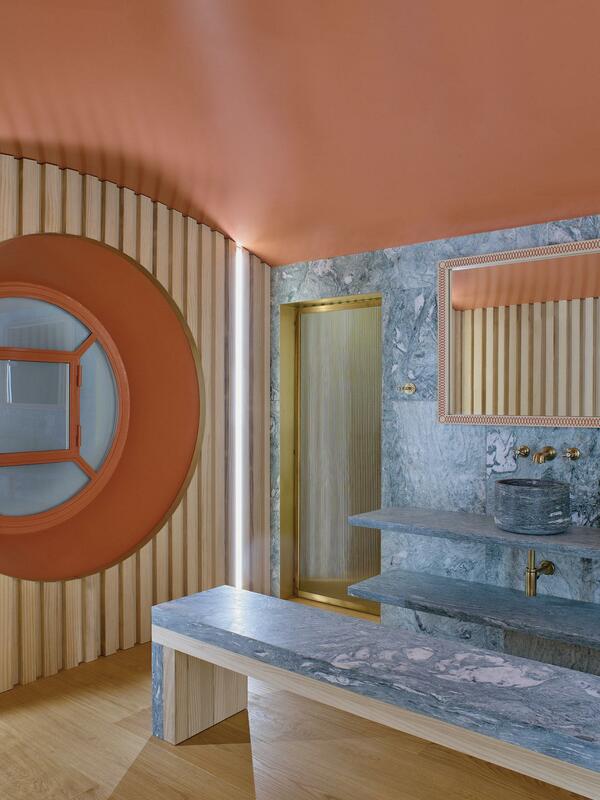 Federico Marchetti, owner of Yoox and Net-a-Porter, purchased the lakeside retreat in 2013 and called upon his friend, Luca Guadagnino, the director best known for Call Me By Your Name, to help spearhead the interior design. Guadagnino's passion for interior design and architecture is manifest in his movie sets that are often marvelous period villas with Art Deco elements and an aristocratic air, such as the choice of Villa Necchi Campiglio in Milan for I am Love and later, Villa Albergoni in Cremona for Call Me By Your Name. The environments, the colors, the photography, the details are fundamental elements of the Italian director's films, so it's no wonder that his boundless creativity was successful in an interior design project. In fact, he had already designed his own home: a magnificent 17th century palace in the historic center of Crema, Italy, where Call Me By Your Name was filmed. His keen sense for design inspired Machetti to ask him to reimagine Villa La Filanda's interiors, which had been gutted. 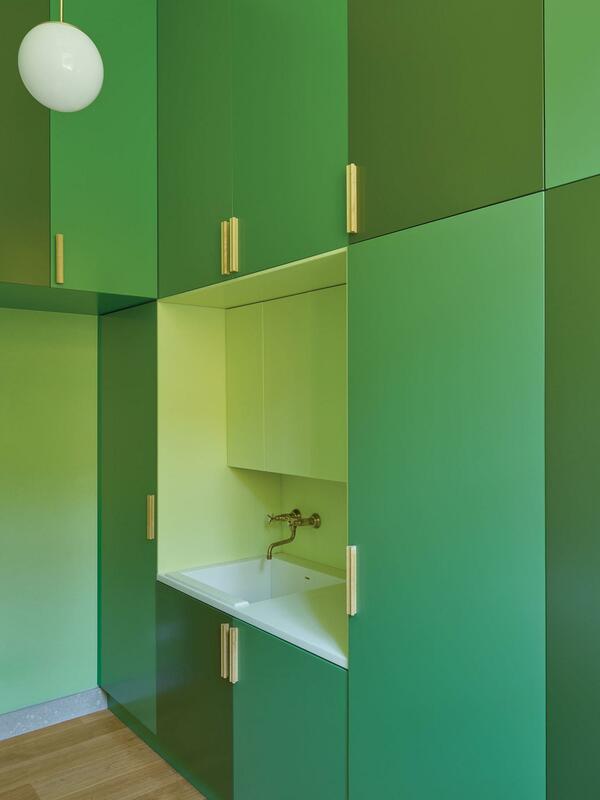 Opaque lacquered cabinets in shades of green in the laundry room. 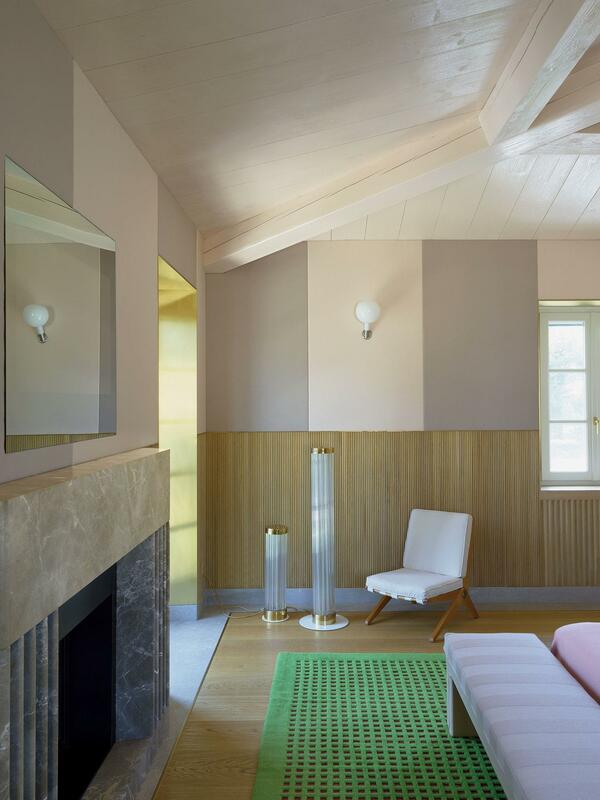 Guadagnino infused the villa with an amalgam of styles, textures and centuries: from the home's origin as an ancient factory reflected in the use of oak wood and Kvadrat fabrics to modernist furniture from the mid-20th century and slick, glossy walls that are decidedly contemporary. 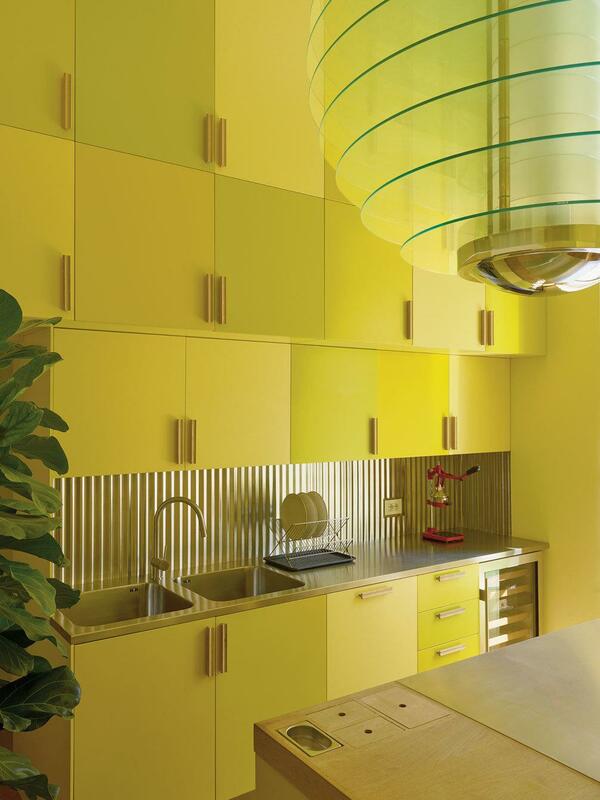 The result is exceptional, a clever mix of colors, materials and décor that is perfectly adapted to the eccentric personality of Marchetti, through the creative lens of Guadagnino. Among the most interesting pieces found in the villa are a pistachio-colored lacquered pantry signed by Studio Luca Guadagnino, a hanging lamp created by Gio Ponti in the 1930s, a coffee table by George Nakashima and a marble table by Hermès. 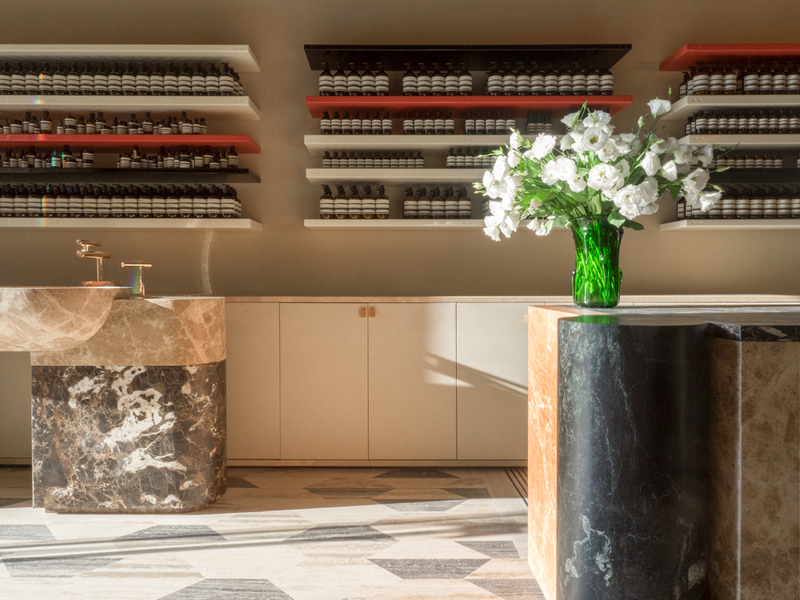 After finishing Marchetti's villa, Guadagnino was contacted by the founder of Aesop to design the Rome boutique of the skincare brand. The Basilica of San Lorenzo in Lucina, a few steps from the shop, served as the inspiration for the design and the designer-director incorporated marble, three types of travertine for the diamond-shaped floor, cream lacquer for the interior and a marble sink at the entrance that recalls the basilica's baptismal font. 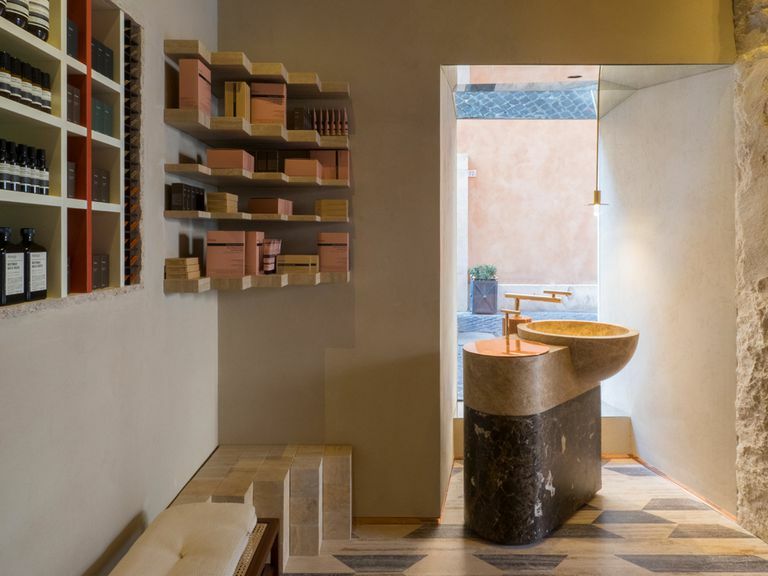 Ultimately, his detailed design was inspired entirely by the Eternal City and showcased his ability to create interiors that reflect their settings. Guadagnino directed the remake of Suspiria last year and meanwhile continues to work with his new design studio on various interior projects. 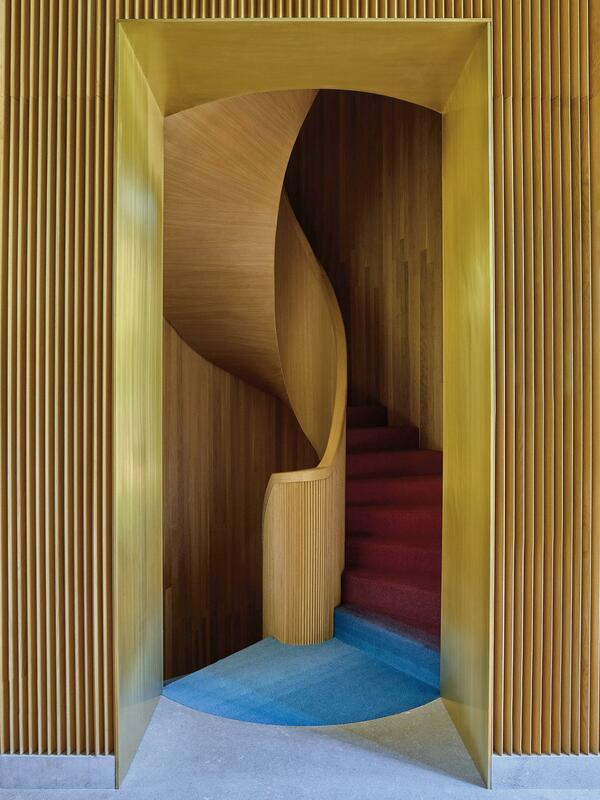 His Midas-like touch on movies and interiors alike promise more beautiful spaces and cinema to come! Check out all the design lots on Barnebys!